It's the first marriage for the 56-year-old Democratic candidate for governor. Philip Levine, the former Miami Beach mayor running for the Democratic nomination to be Florida's next governor, got hitched to his longtime girlfriend over the weekend in a private ceremony. 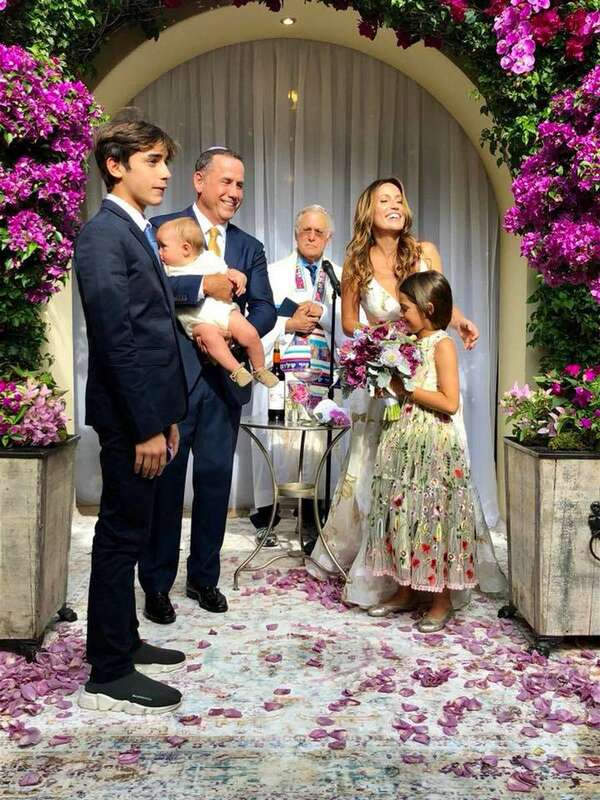 Levine, 56, and Carolina Murciano, a real estate agent and younger sister of television actor Enrique Murciano, were married at their Miami Beach home Friday. The marriage is Levine's first. The couple got engaged last year as Levine mulled a run for governor. Murciano, 40, gave birth in October to the couple's son, Henry Joel Levine. She has two children from a previous relationship. "With Beno, Mica, and Henry at our our side, Carolina and I exchanged vows of love and got married at our home last night," Levine posted on Facebook. "I married my best friend and could not be happier about our journey ahead." Levine is currently running against Chris King, Andrew Gillum and Gwen Graham to win the Democratic primary in August.